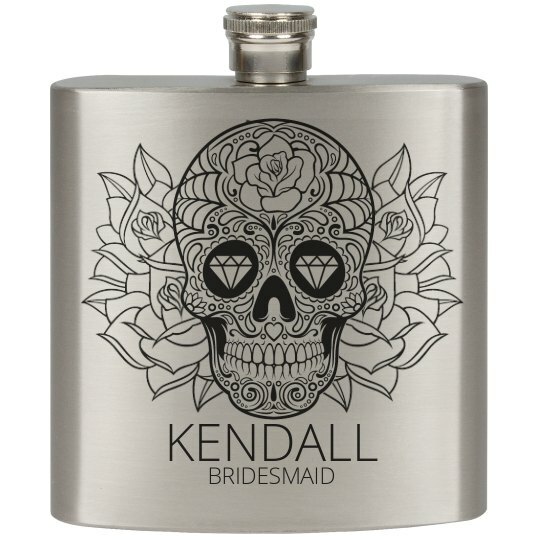 Themed custom flasks make great original gifts for the Day of the Dead or Cinco De Mayo bridesmaids. Trendy sugar skulls make great art for flasks full of tequila! SURPRISE! Personalize each by changing the name in the design center to read that of each recipient! SALUD!